We love to hear from our brides and bridesmaids and it’s really a bonus when we hear from them with photos from their wedding day. 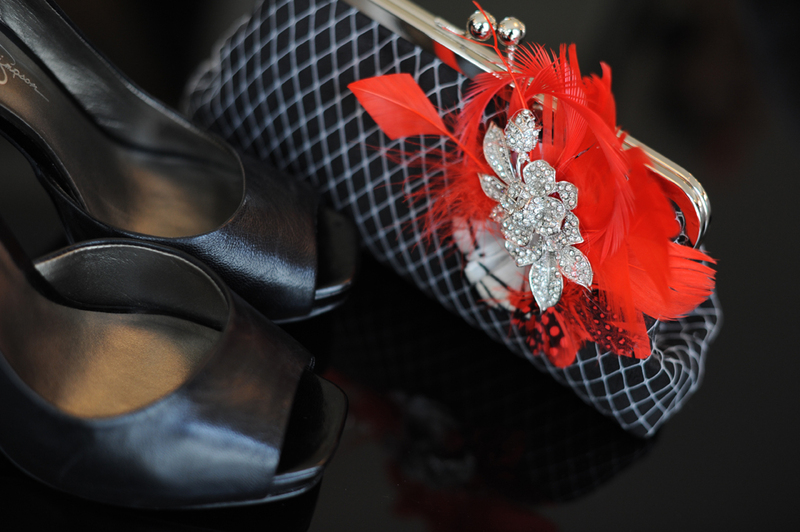 Today, we’d like to feature a beautiful bride, Katy from Ohio, who came to us for custom made clutch bags a few months ago. Over messages on Etsy, we worked together on the design of her bridal and six bridesmaids clutches. We got very excited working on her order as the red she has chosen is not a common color. We knew she was planning something vibrant yet chic (a sense we’ve got from our Etsy message correspondence 🙂 ). We must say, now that we’ve seen the fruit of her work, we are very impressed. 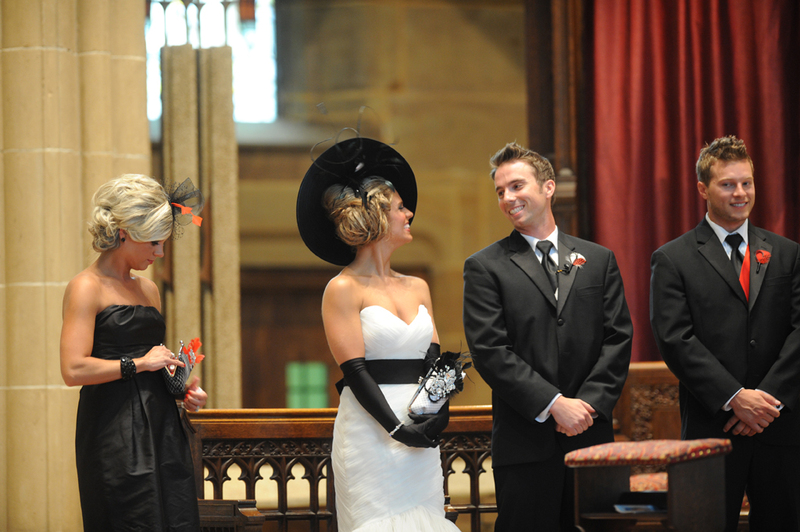 We love how she has materialized the vision for her big day. The hat (oh, what a magnificent hat! 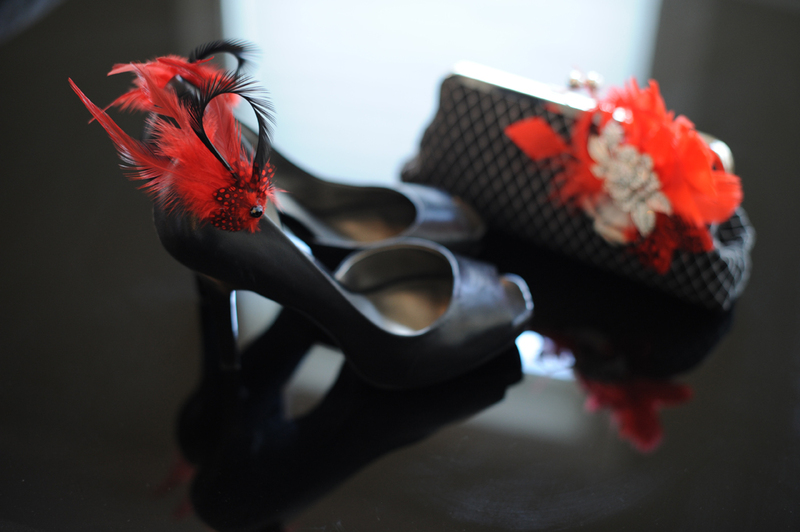 ), the fascinators, the clutches, the dresses, the accessories, down to the shoes, look so chic together. Without further ado, here are a few photos from her wedding day. 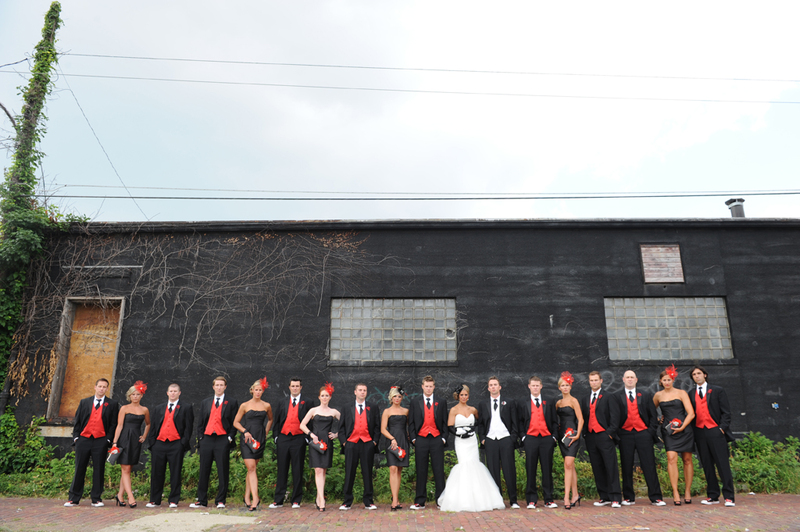 We hope this will inspire you on the planning of a bright, one of a kind, wedding. 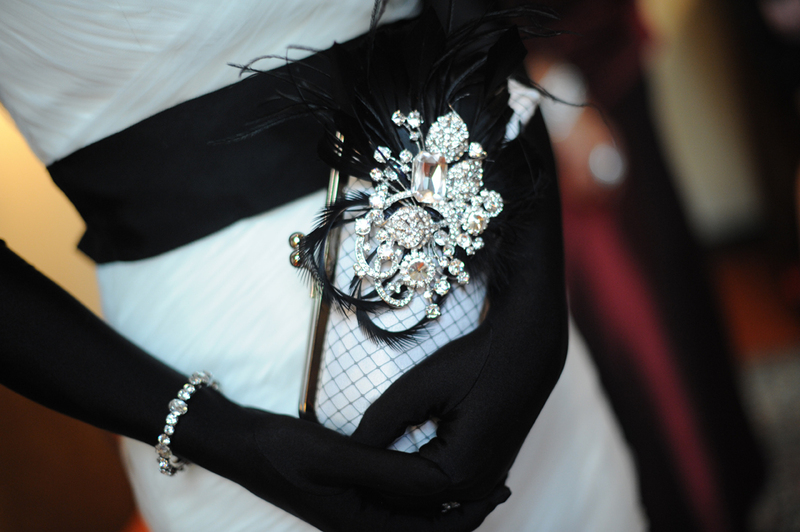 If you are looking for one of a kind clutch bags, give us a shout, we might be able to create something unique for you. Photography by Karla Banks of Banks Photography.